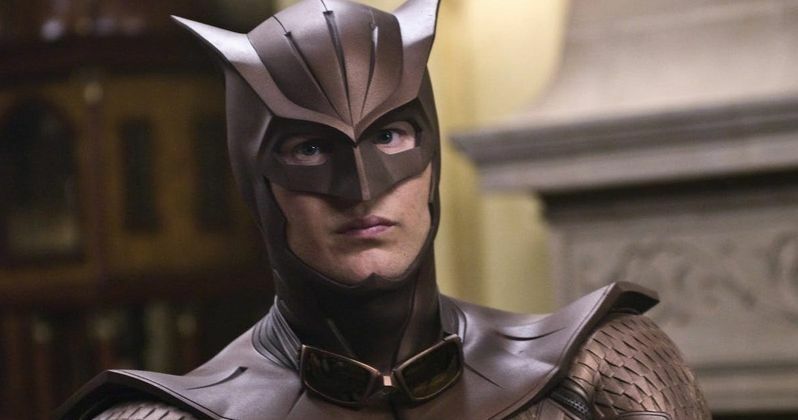 Would you like to see Patrick Wilson return to play Nite Owl in the upcoming HBO Watchmen TV series? It's definitely something he wants to do. Damon Lindelof (The Leftovers) is currently adapting Alan Moore's classic DC Comics miniseries for the small screen. At the very least, HBO has committed to a Watchmen pilot. While it's likely they'll cast new actors who weren't featured in Zack Snyder's movie adaptation, Patrick Wilson wants in. The actor is currently promoting his new movie The Commuter. During a recent interview, he was asked about the Watchmen TV series and possibly reprising his role as Nite Owl. He expressed his fondness for the movie and the character and says that, given the chance, he'd love to reprise the role. Here's what he had to say about it, with the show gearing up for a spring production start date. "It was such a joy shooting that movie, I wanted there to be more of them. I've wanted to play Dan again. I certainly think we're all more age appropriate now!" Watchmen, as a comic book series, focuses on aging former superheroes in an alternate version of the 1980s. Considering that Patrick Wilson is in his 40s now, he actually does seem age-appropriate for the new adaptation. So, is this something HBO would actually be interested in pursuing? Probably not and, as Wilson goes on to say, no such conversations have taken place. At least not yet. "There's never been one conversation. I'm sure they want to stay as far away from us as possible but I love Damon Lindelof I'm so excited to see what they will do. I'd love to play [Dan] now but no there's been no talk, I'm just a fan like you are." Zack Snyder's Watchmen movie is a mostly faithful, but largely divisive adaptation of what may very well be the greatest story ever told in the medium of comic books. Watchmen made just $185 million at the box office and holds a decent, but definitely not great, 64 percent approval rating on Rotten Tomatoes. With that said, it's likely Damon Lindelof and HBO are going to want to take this adaptation in a different direction. If the rumor of John Cena being in the running to play Dr. Manhattan is in any way true, that much is very clear. The Watchmen are actually a major part of the current DC Comics universe. Ever since the Rebirth reboot kicked in, the characters have had a presence in the comics and the Doomsday Clock event series serves as a sequel to the original Watchmen run. So in many ways, now seems like a perfect time for a Watchmen TV series. Patrick Wilson has made it clear in this interview with Yahoo Movies that he would be game to suit up again, but he may have to just be content with his role in the upcoming Aquaman movie when it comes to live-action DC adaptations.